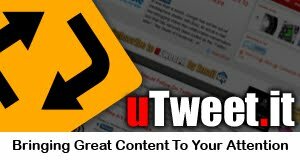 As some of you may know, I have been writing a weekly article for the startup online magazine, uTweet.it. For the sake of better exposure for both the magazine and my own articles, I’m going to start posting summaries of each article here. First, though, some information on the publication. I was invited to write with this awesome group about a month ago, and I’ve been putting out a weekly article (so far on technology) each Monday. Over the next couple weeks, I’ll catch up on posting summaries of my contributions here and continue to release one each time my uTweet.it articles are released. I hope you’ll follow along and use the chance to check out my fantastic co-writers’ work. As always, email me directly for any questions or comments, comment and share to keep the discussion going, and subscribe via Email or by RSS if you like this blog!